We’ve been hanging out in Shiroyama park quite a lot recently. 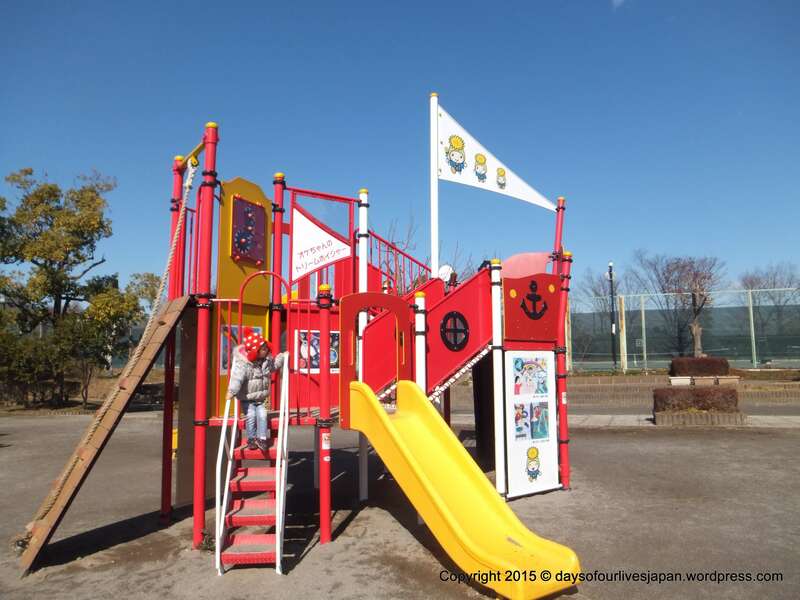 Thanks to the Family Walker magazine featuring the new piece of playground equipment (pictured) and suggesting it as a hanami location. We had visited a few times in the past, but it didn’t make an impression. It does now. The timing was convenient, too. The kids have taken turns bringing lurgy into the house; Shiroyama has the perfect playground for sick days. 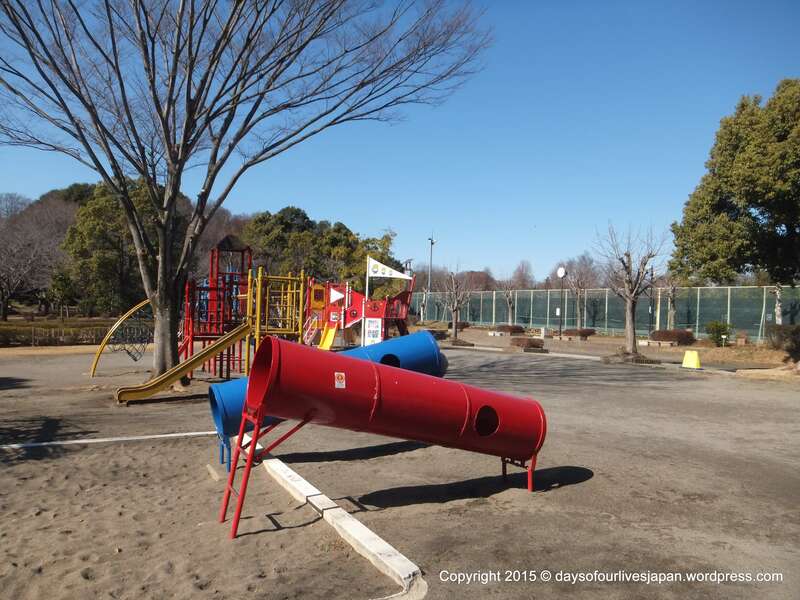 The playground (by the tennis courts, near the main parking area off route 12), isn’t too expansive, is in the sun, but surrounded by trees, and has a sandpit. Another benefit for our family is that there is something for each of their ages. 5 year old likes the flying fox and climbing bars. 4 year old likes the see saw and climbing wall. 2 year old likes the seesaw and climbing net. 4 month likes the view. They all love the sandpit that has two sliding tunnels (last photo); something we haven’t seen anywhere else below. 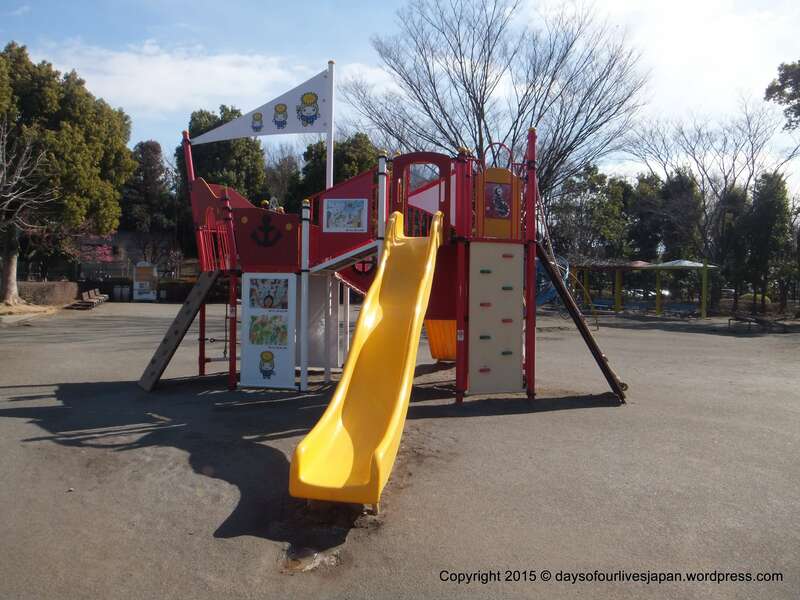 Shiroyama park also has an adventure playground, a paddling pool, and hanami, picnic and BBQ areas. The BBQ area is free to use, but you need to physically go into the park’s management area up to a day before to book a place. There is a cot in the toilet for the disabled for changing nappies, but to be honest the park’s toilets could do with an upgrade!